"The most advanced grain harvesting technology from front to back"
One of the key features on the five models – the S760, S770, S780, S785 and S790 – is technology that allows the combine to make necessary adjustments automatically while on the move. 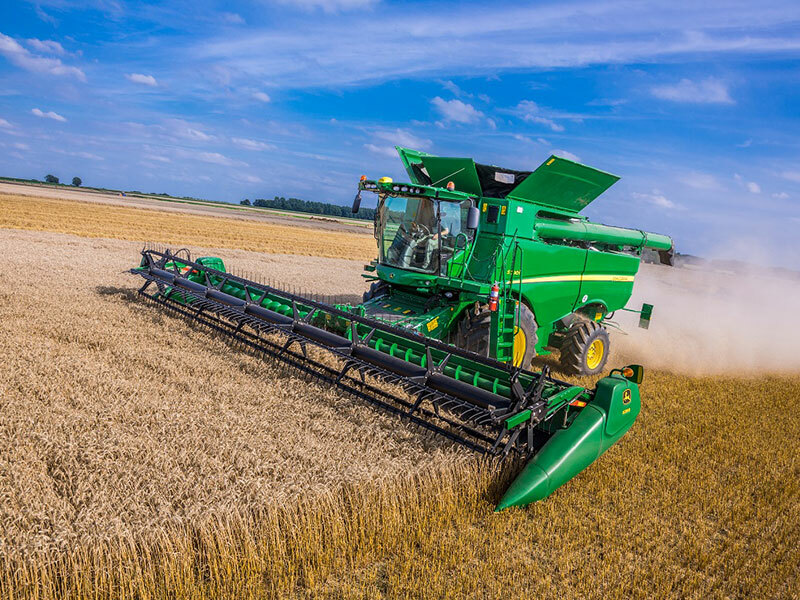 Building on the proven field performance of the S600 Series combines introduced in 2012, the new S700 Series incorporates the latest in automated harvesting technology. 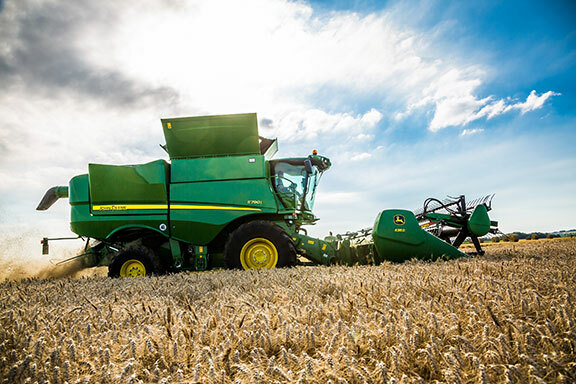 John Deere combine product manager Carsten Heftrig says: "These new S700 Series combines are the result of enhancements to our previous models that optimise and automate harvesting operations for both coarse and small grains." John Deere has introduced the next generation of interactive combine adjustment (ICA2) which, after optimising machine settings such as forward speed, grain quality and losses, and cleanliness of the sample using ICA, changes the settings automatically to maintain the pre-selected output at a constant level. The biggest physical difference customers will see in the new S700 Series combines, compared to previous models, is in the cab. This starts with the new CommandPro joystick, which features up to seven individually programmable shortcut buttons for customising the most useful functions. The John Deere super 7800 series will be on show at Agritechnica, which runs from the November 12-18 2017 in Hanover, Germany. Not all products launched at the event will be available in Australia.